Are you considering having new garage doors installed for your home? There are a ton of options out there and it can be hard to figure out what the best option is. If you’re unsure about where to go, look into Brooklyn insulated garage doors. 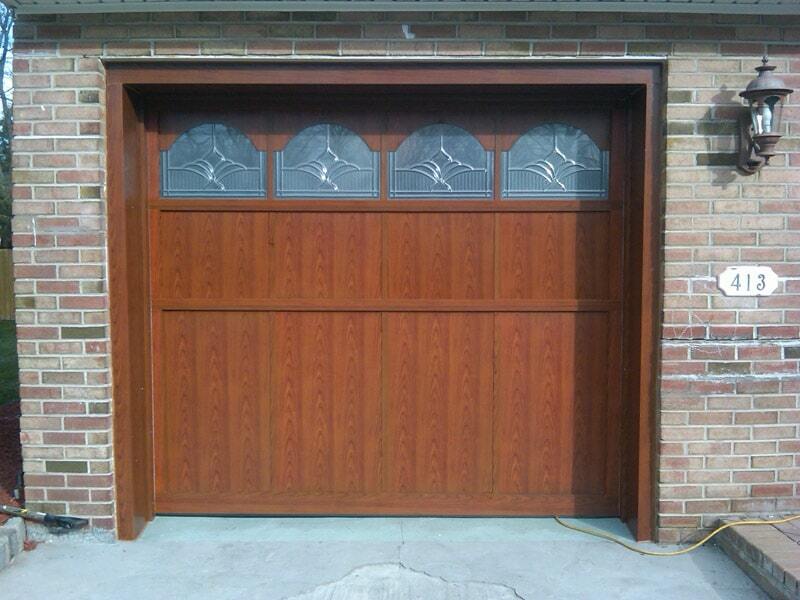 There are several reasons why this type of garage door may prove to be a great option for you. Here are some of the major benefits and reasons to consider having them installed today! 1. Of course, they’re well insulated! It’s no shocker that your garage is very poorly insulated in comparison to the rest of your home. For most homeowners, this doesn’t seem like much of an issue because you’re not spending much time in the garage. What you may not have considered, however, is that the cold or hot air from your garage can seep into the rest of your home. The room above your garage will suffer as well as the rooms immediately bordering it. By increasing the insulation in your garage, you won’t have to worry about spending as much energy to keep your home’s temperature regulated. 2. They’re a bit quieter. This may not seem like a big deal, but most people have been woken up in the night because of someone coming in late through the garage. With Brooklyn insulated garage doors, you won’t have to worry about the loud, obnoxious sound that garage doors generally make. This should not be a make or break feature, but it’s certainly an additional benefit to consider. 3. They’re durable. Brooklyn insulated garage doors have a bit of added durability that other styles of doors may not have. They are constructed differently and are harder to dent or damage in any way. When you consider all of the possible ways that your garage door can be damaged, durability should be a major factor. Having the added insulation will also keep the mechanism of the garage doors out of any unhealthy weather conditions. They won’t be frozen or too hot either and this can increase their lifespan. Interested in Brooklyn Insulated Garage Doors? If you’re looking to get new garage doors installed, consider getting Brooklyn insulated garage doors today. For the best in garage door services, contact Advanced Door today. Since 1998 they have been a family owned company that prioritizes 100% customer satisfaction. For more information on their services, contact them today by calling (973)579-0043 or visit the website! Searching for the best Brooklyn Electric Door Opener for your garage? Whether you have Brooklyn commercial garage doors or residential garage doors, we have the best quality garage door openers in the market. Once you have selected the perfect garage door for your home, the next step is to choose the perfect electric door opener for your garage door. You do have the option to open and close the garage door manually or have it opened by an electric garage door opener. For more convenience and safety, an automatic electric opener would be the best to install. When choosing the best electric door opener, there are three things to look for, all the safety qualities, the type of opener and the company/manufacturer of the door opener. When choosing your electric garage door opener you would like to make sure it comes equipped with safety beams. These beams alerts the doors when something is blocking it and it cannot close properly. Some door openers also help secure the system from intruders. On some models every time you activate your remote button, a new code is sent through the unit and the door opens only for you. The new editions available today can also be accessed from your cell phone. No matter where you are, you can see on your cell phone if your garage door is opened. It is a great feature for families that use the system daily and often. The most exclusive choice in garage door opener is the belt driven garage door opener. It is the quietest and most reliable system in the market today. The belt drive door opener is the best choice especially if there is a lived in room above or adjacent to the garage. It is extremely quiet with less vibration than any others style. It also has the most complete warranty bundle. The belt drive has a lifetime warranty on the belt itself against any splitting or breakage and it also includes the lifetime of the motor. There is also another style, the chain driven garage door opener. It is the most common one used by homeowners. It is not as quiet but it is designed for standard use. If noise is not a number one priority for you, then this would be your best buy. The chain drive is also very reliable and supplies long term and lasting performance. Another popular style is the screw driven garage door opener. It is the strongest and the quickest style opener. Homeowner living in extreme climates use this style since it has better design in running quietly and smoother in extreme cold and extreme hot weather. It makes a lot less noise than the chain driven garage door opener and it also requires the least amount of maintenance since it self lubricates. Your garage door opener is one of the items you need for your home that should be a top brand. 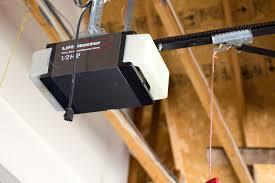 Some of the top brands that our company uses are LiftMaster garage door openers and Pioneer garage door openers. Some of these brands have been in business for over 40 years and have been a leading and reputable manufacturer when it comes to performance and reliability. They also provide many options for the homeowner and accessories. Garage door openers are a great investment for your home. If you are in need of a Brooklyn Electric Door Opener, give Advanced Door a call today. We are a family owned and operated business that has served the NY/NJ area for over 20 years. For more information on our services or for a free estimate, call us today at 973-579-0043 or come and visit our website! Electric door openers serve an important safety part of your garage door. It keeps the garage door from closing incorrectly all the way especially if there is a blockage. Some people do not realize that their garage doors actually have different safety qualities. A garage door consists of an optical eye that detects each item that goes across the path of the garage door. It also consists of a reverse function, which a good electric door opener detects something is in the way; it will stop and reverse itself if it hits something that is keeping it from closing properly. One of the main reasons we have an electric door opener on our garage door is for easy use and convenience. The garage is where we store and protect our vehicles as well as other important and expensive equipment that we use all around the home. It protects it from severe weather and keeps things in proper place. With a good quality garage door opener it helps you store your car in the garage easily while avoiding coming into contact with any type of weather. A good quality garage door opener can protect you from rain or snow and allowing you to get in and out of your car safely and comfortably. By purchasing a high quality garage door opener, you can avoid problems with any malfunction. A high quality garage door opener can reduce the sounds of a garage door greatly. Some older openers tend to be a bit louder than the newer ones because of the counterparts. Also, some homeowners may want to consider a belt drive instead of a chain drive on their door opener because the newer belt systems are the quietest in the market today. The newer belt systems are rapidly growing in popularity. Belt drive openers are very strong and can lift any door. Some homeowners may consider a quiet opener to be quite critical. This is true when you have someone with living space above or next to a garage. Your garage door plays a big role in your life and in the quality of your home. 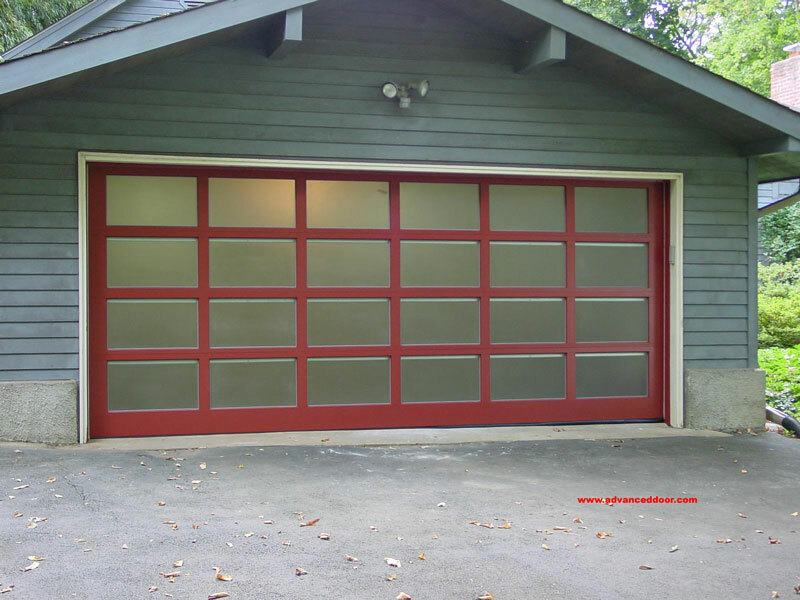 Advanced Door will help you get the best Jersey City custom garage doors possible and the best Jersey City Electric Door Opener for your garage. Advanced Door provides the finest products and service in the industry. We are dedicated to serving our customer’s needs and our goal is to have 100% customer satisfaction. We strive to bring you the best in quality service. Our company has been a family owned and operated business providing exceptional service since 1998. No matter what size your project may be, Advanced Door has the abilities to get it done right always. For more information or a free estimate, contact us today by calling 973-579-0043 or visit our website. Does your business move a lot of goods? Are you constantly in and out of your garage for business? Are you moving more goods than ever, and are thinking of upgrading your premises? Maybe your business is growing so much that it is time to install an electric opening system for your doors. Manually opening and closing garage doors can be time consuming, and cause unnecessary wear and tear on door cables and pulleys. Maybe it’s time to call a Manhattan electric door opener specialist to install electrically operated garage doors. If you need your Manhattan commercial garage doors to open and close smoothly and operate more cost and time efficiently, we are here to help. Garage doors are our business, and our top of the line door openers can help yours. Manual garage doors can be stiff to move and heavy to lift. Safety is a concern wherever you work, and an electric garage door can be operated by anyone on site. One push of a button ensures smooth, quick opening and closing. Constant jerking up and down of garage doors because they are too heavy to easily lift, can result in damage to pulleys and cables, making the door potentially dangerous. If a cable slips from the pulley, the door could become stuck and inoperable. The installation of electric openers eliminates the risk of injury to your staff, and potential damage to your garage doors. Our door openers will also detect if an object is blocking a garage door, and will reverse the action if it is about to close on an object. This ensures the safety of personnel and goods coming and going through the doors. A thriving business is a busy place. Customers and employees are constantly moving in and out. You expect a certain amount of background noise. What you don’t expect is grinding, screeching door mechanisms. When you’re conducting business with customers, you want to be able to pay them the compliment of listening to what they have to say. You don’t want half the conversation drowned out by the comings and goings of your employees. An electric garage door opener is quiet, so customers can be comfortably heard. A screeching door does more than grate pulleys, it can grate on your nerves. If your manual garage door is making unpleasant noises, consider an electric door opener. You have worked hard to make your place of business what it is today, and electric doors can help keep it running smoothly and efficiently. We are here to help with all your electric garage door opening needs. We can accommodate everything from heavy commercial enterprises to the small mom and pop neighborhood business, and anything in between. If your business has a garage, we have an electric door opener to suit your needs. Customer satisfaction is our number one goal, and we have been serving local business owners for two decades. We offer service and maintenance for all electric openers we carry. We also offer an extensive line of doors and replacement parts. Electric door openers are beneficial to your business, and your staff. Make opening and closing a door as simple as pushing a button. 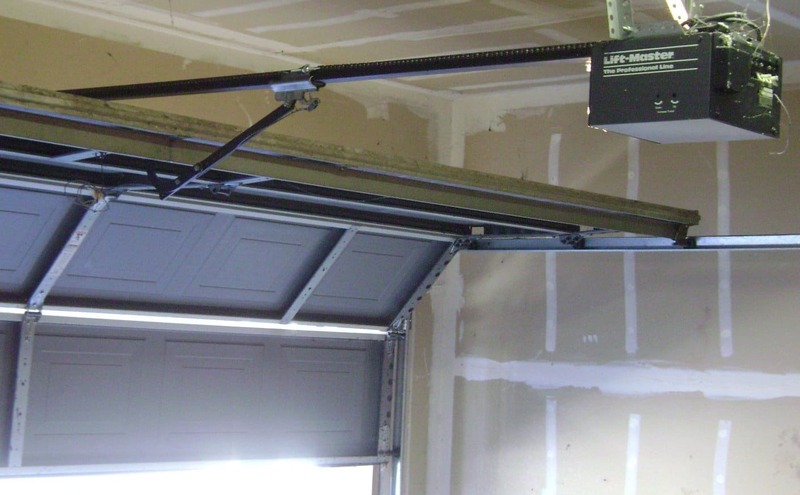 If you want to improve the look of your business with the installation of a new electrically operated garage door, or are in need of service for existing doors, contact a Manhattan electric door opener professional today. Don’t get stuck with an old, noisy entryway. We have what it takes to get your goods out the door. Having a garage with a garage door opener is definitely a blessing, and you want to be sure to take care of it and keep it in well working condition. To keep your door working properly is usually as simple as simple maintenance. To be sure your garage door works to the best of its ability for as long as possible, here are some maintenance tips for your Hoboken Garage Door Openers. The best and easiest maintenance you can do for your garage door is to just keep an eye on it. Whenever you are using your garage door just be sure to watch if it is moving smoothly on its tracks, and if it sounds like it is working properly or if something is not quite right. On average your garage door is opened and closed around one thousand times, which in itself can loosen your hardware. You want to be sure that your roller brackets and bolts are tight. You can use a socket wrench to take care of tightening this hardware. You want to be sure your garage door is balanced, if not then your hardware will have to work harder to open and close the door, and it will wear everything out much quicker than it should normally. You will want to pull the release cord which is usually red, to disconnect the opener, and then open your door manually about half way. Now, if the door wont stay open then the springs are not properly balanced. To adjust the springs to fix this it is best, and safest, to leave it up to a professional. Twice a year you should inspect your rollers, regardless of whether they are nylon or steel. You will want to remove and replace and roller brackets that are not attached to the cable. You will want to do this if any of your rollers are worn, chipped, or cracked, and every seven years you will want to replace the rollers for overall maintenance. Hoboken Garage Door Openers | Weatherstripping! You can find new weatherstripping by the foot at hardware stores. You will want to replace the weatherstripping immediately if you find any cracks or brittle areas. Be sure to cut it to size and fit it into the bottom grooves of the door with the wide angle inside the door to prevent the different weather elements from getting into your house. A quick and easy maintenance tip is to grease the moving parts to your garage door! With a lithium grease, and a spray lubricant, you want to coat the overhead springs. You can get these lubricants from a garage door specialist, and this will add many years of a well oiled hardworking garage door. Hoboken Garage Door Openers | Cables! When dealing with the cables you want to always hire a professional! It is for your safety, these cables are high tension and could kill someone who is not properly trained. What you can do, is keep an eye on them so when maintenance is needed, you can know to hire the needed help before the problem becomes an expensive big time fix. To test your auto-reverse you want to check the mechanical system. You can do this by placing a brick under the door and closing it, when the door comes to the brick, a proper system should put the door in reverse and open again. This is to be sure that when you really need it to the safety mechanism will work and not close on anyone. Time To Clear Your Tracks! This is as simple as making sure there is no debris stuck within the tracks. Once You are sure of this you could use a level to check the balance of the plumb. If it is not balanced you want to be sure to hire a professional to fix any other issues that may be at hand. Last but not least, check you garage door! If there is any worn or warped, or has any damage, you want to be sure to have it fixed. Steel doors could possibly get rust marks which should be handled with a sanding and a repainting. To keep your door in good condition you want to regularly clean it with any mild all-purpose cleaner. A good tip is to clean the door whenever you wash your car, an easy and efficient way to remember. These maintenance tips are a great way to keep your garage door working properly and to make sure it works to the best of its ability for a longer time. Always remember when dealing with your Hoboken Garage Door Opener to hire a professional for the more in depth and complex issues you may run across. If you follow these tips you’ll be garage door should be good to go.